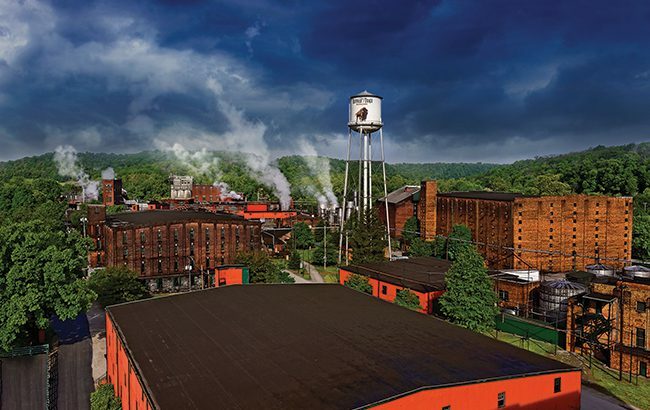 Kentucky’s Buffalo Trace Distillery welcomed more than 230,000 visitors last year – marking a 345% increase since 2010. The Sazerac-owned distillery is embarking on a US$1.2 billion expansion of its distilling and ageing capacity, as well as its visitor facilities to accommodate growing demand. Last year, a record 231,523 people visited the National Historic Landmark distillery – a 15% increase on 2017. “It’s exciting to be growing in all aspects, we are thrilled that so many people took their time to come and see our team at work,” said Meredith Moody, Buffalo Trace’s director of Homeplace development. “Our growth in visitation has allowed us to expand our tour offerings to six different complimentary tours, and offer our guests a unique look at the distillery with each visit. Planning is now underway for the second expansion of Buffalo Trace’s visitor centre, with construction scheduled to begin this autumn. Also under the expansion plans, Buffalo Trace has replaced its 1951 boiler and will soon begin adding 12 additional fermenters and replacing its mash cookers. Its existing bottling line will move to another area and be modernised, while 22 new warehouses are being built at a rate of one every four months. Despite its heavy investment, parent company Sazerac has previously expressed doubt that it will not be enough to meet demand for its Bourbon in the coming years. The company anticipates the “majority” of its whiskeys will still be on allocation. For a more in-depth look at Kentucky Bourbon’s tourism boom, click here.